Here’s a pic of the finished top. Just a stitch in the ditch quilting technique to get my feet wet. 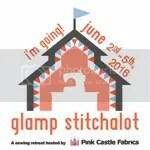 I brought it to quilt guild and shared it and immediately gave it up for charity. 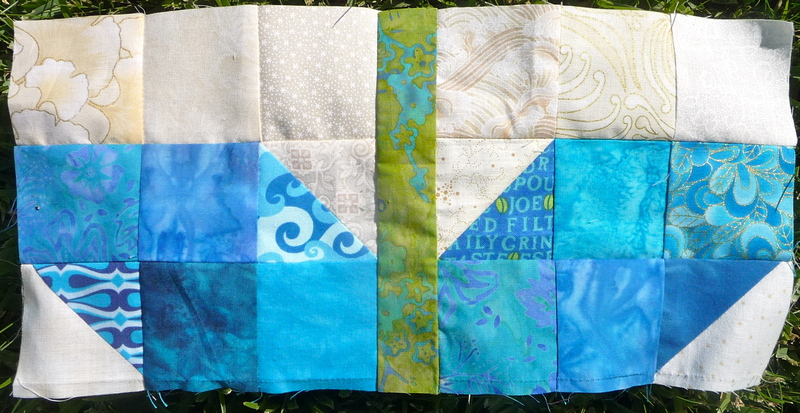 Don’t get me wrong, I loved the quilt, so did my husband (he was so proud of me) but I really had no need for this one at this size and I really just wanted some good practice with all the basic techniques. No really, I finished the basting. 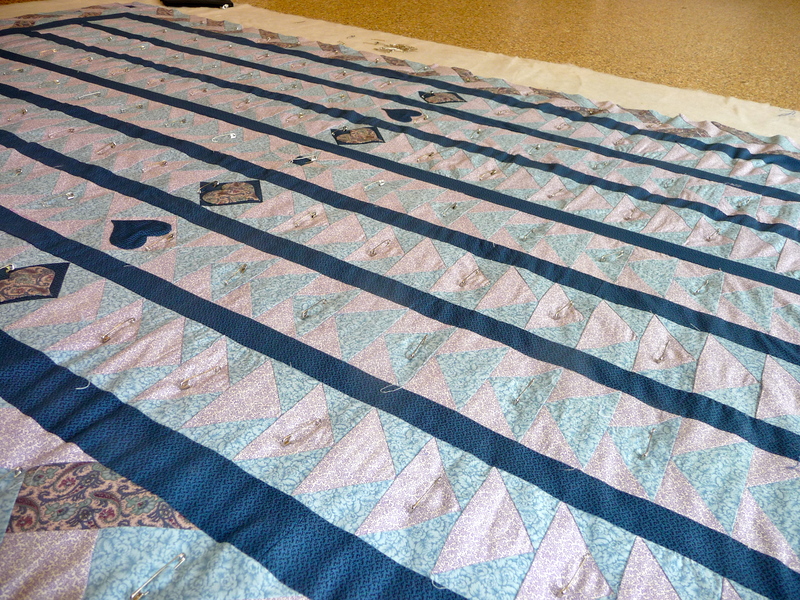 Now it is on my sewing machine, I got some initial quilting done this weekend but I have no idea how long it will take because of all of those triangles, I’ll quilt every 3rd about 1/4″ in and stagger them in each row. The real question is how to quilt that blasted braid around the outside? Suggestions are welcome. In the meantime, it was my turn to pick a block for our guild bee. 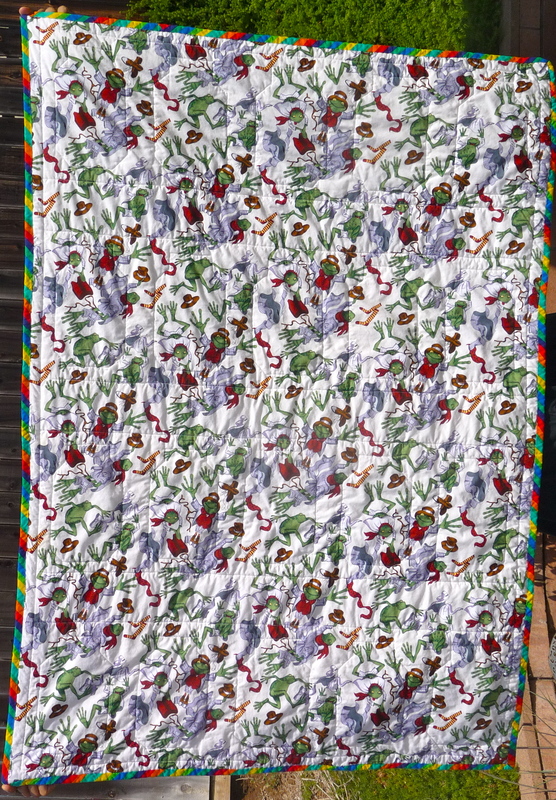 I picked a scrappy sprout design that I first found out about from Tracey Jay Quilts blog. 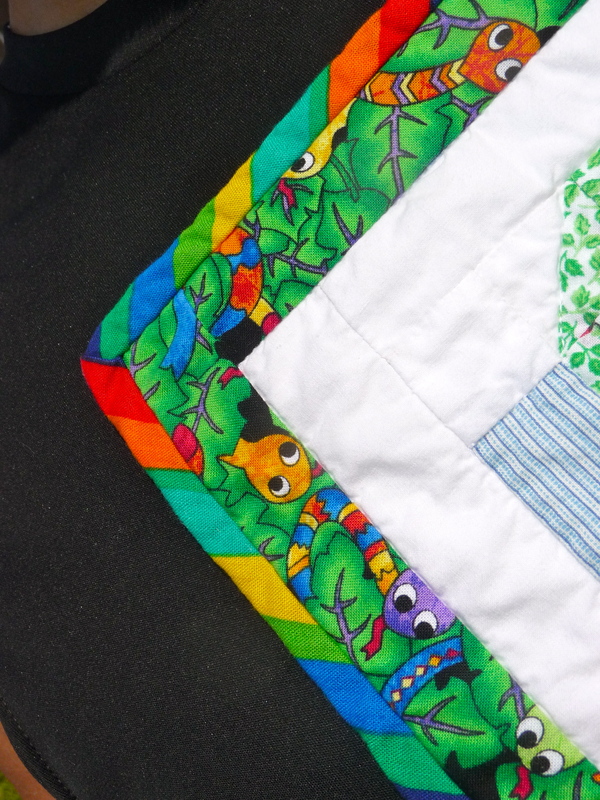 It’s a great story, people from all over the world sent blocks to her to make a quilt for a friend with cancer. I have wanted to do this block for my bee month ever since I first saw it. So I made a few to bring to guild for examples. 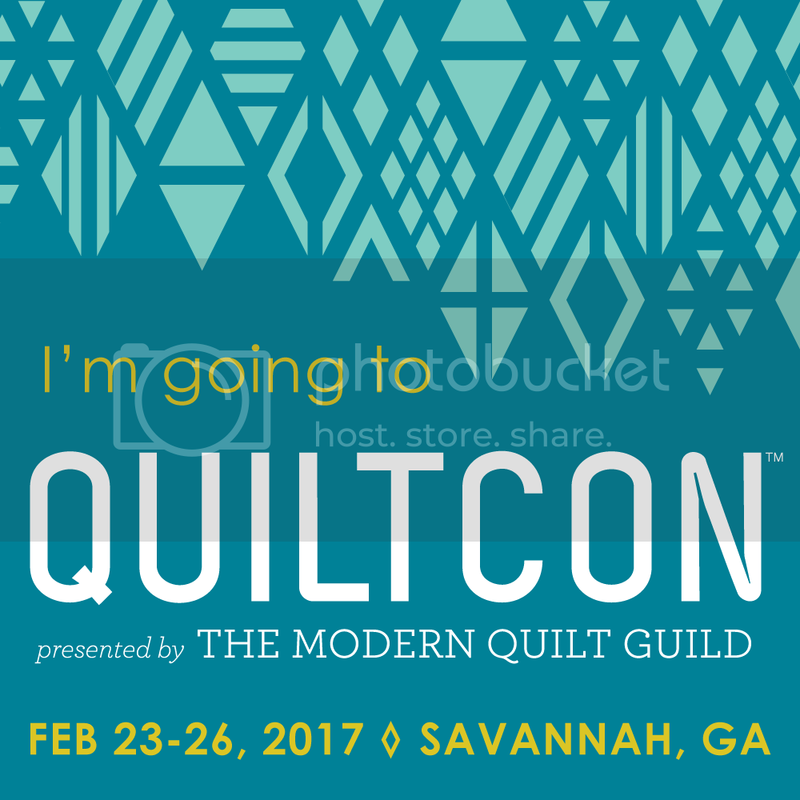 I have been getting great feedback from the guild about the block and people are spitting them out like hotcakes, yahoo! I even had a bee crasher (someone who is not officially in the bee but made blocks for me anyway 🙂 ). The bee members have two months to get blocks in to me so we’ll see how many I end up with and what the colors look like, I’m so excited. 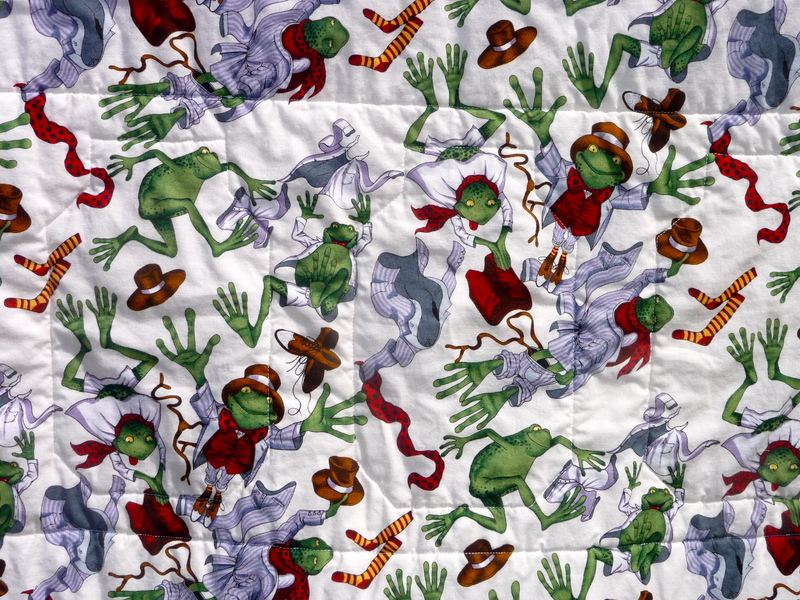 Tracey Jay used 55 in her quilt and I would like this to be big enough to use…I’m definitely keeping this one. So far I have made one. It is “a bit” time consuming. 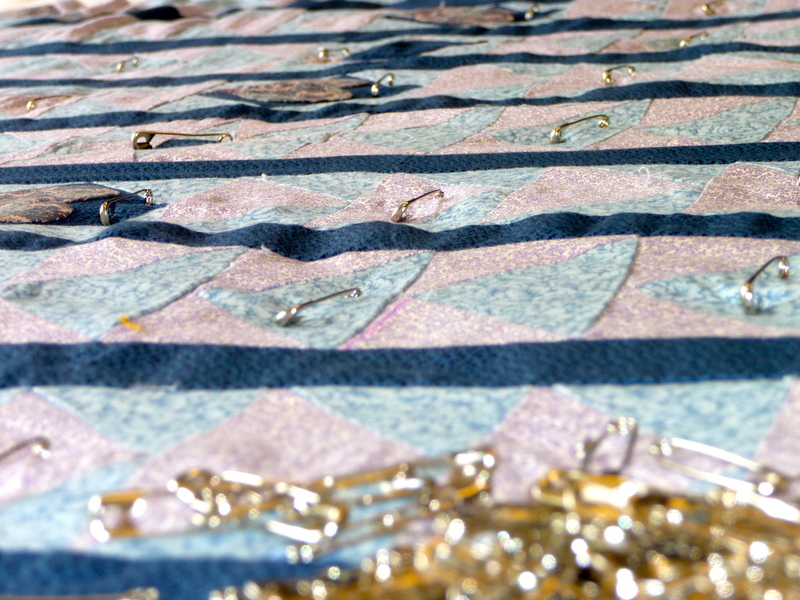 Perhaps it is the 30 pieces involved, perhaps it is the cloud fabric I chose for the background that must be lined up so the clouds are facing the right direction. It is a 6″ block. 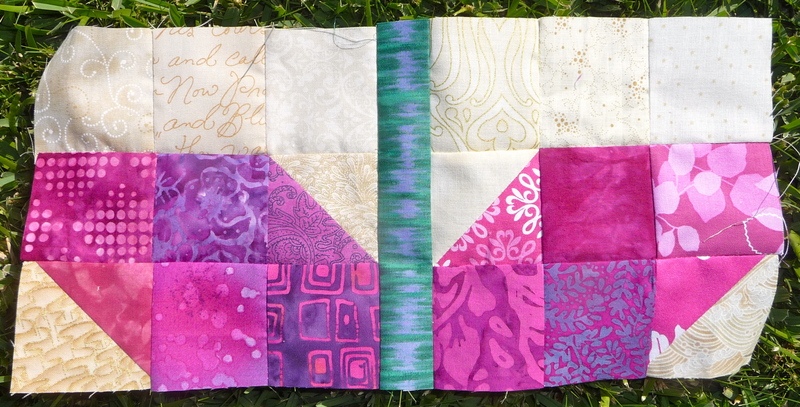 I have decided that 6 pieced blocks may be enough and I found another background fabric that I may do half of them in to save my sanity. 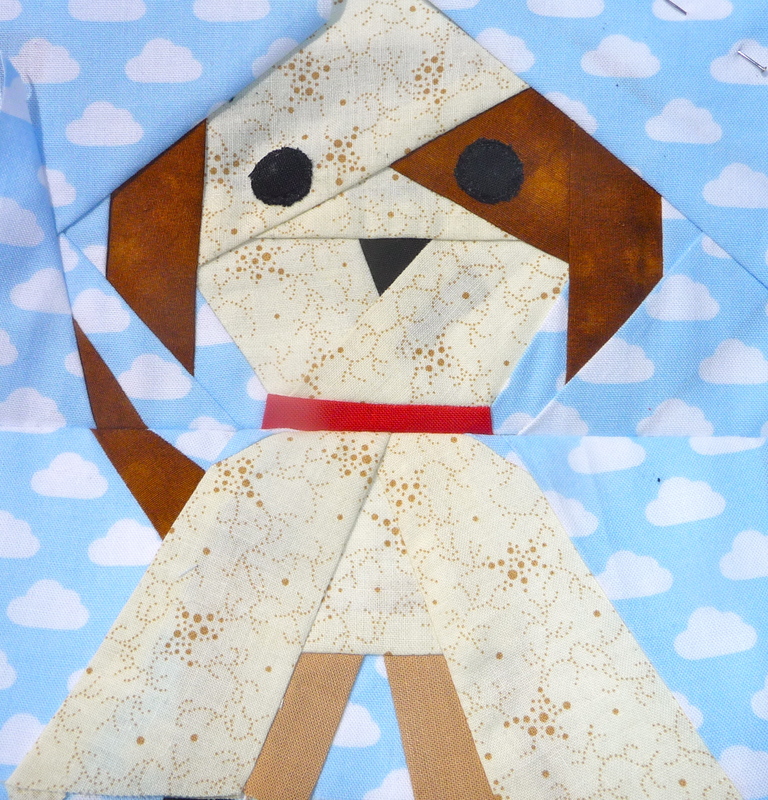 I’ll stagger those puppy blocks with some great bone and paw fabrics I found…how to quilt those I wonder? Somehow I will make it big enough for the puppy in the end but I fear it may take a while. 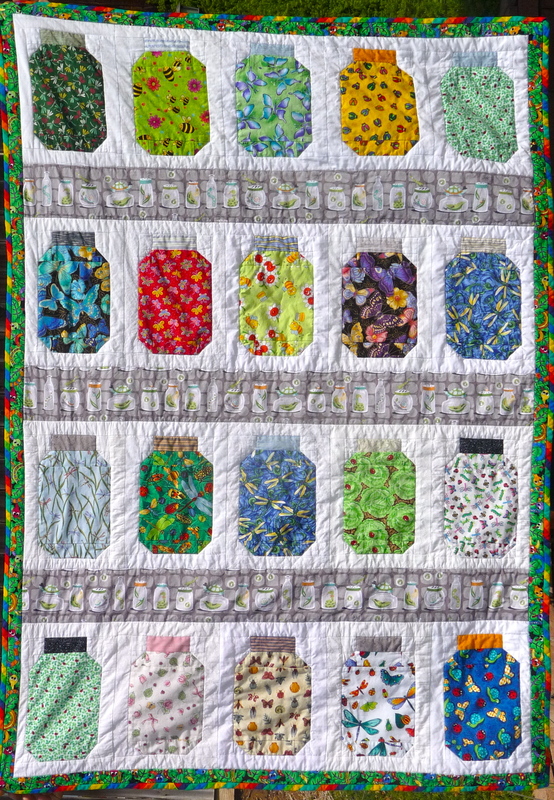 This entry was posted in Bee Blocks, Charity Quilt, Finished!, Little Sewing Projects, Paper Piecing, Work-in-Progress and tagged Bug Jar Quilt, Charity Quilt, Finished Quilts, puppy quilt, scrappy sprouts, Work-in-Progress. Bookmark the permalink.